And to think. These people have colladge degrees. Fake News has been around since long before the printing press. Benjamin Franklin used it to accuse King George of hiring Indians to scalp Americans in favor of revolution. Sounds like the allegations of "Russian Hacking," doesn't it? What about the time The Sun (later renamed The New York Sun) ran a story about strange beings living on the moon that would later be known as "Great Moon Hoax" back in 1835? Pulitzer; the namesake of the publishing prize, was a prominent pusher of prefabricated periodicals. His rivalry with Hearst led to the term "Yellow Journalism." In the 1890s it was at its height when it arguably got us into the Spanish-American War. Journalists calling for the death of the president is also nothing new; Ambrose Bierce and Arthur Brisbane's calls for the assassination of McKinley would kill Hearst's presidential aspirations, instead. As for more Russian collusion, the New York Times used to publish articles on how the Soviet Union was a "paradise for the working man" throughout 1932 and 1933. Surprise, surprise; the New York Times has been pro-Communism for almost 100 years. Fake News is a very real thing and will not be going away any time soon. The framework they used to manage the sites did have spell check and all. A lot of "reporters" must never have learned to write properly. No one is around. Is she some sort of queen who, having vanquished her enemies, is now surveying her spoils of war? 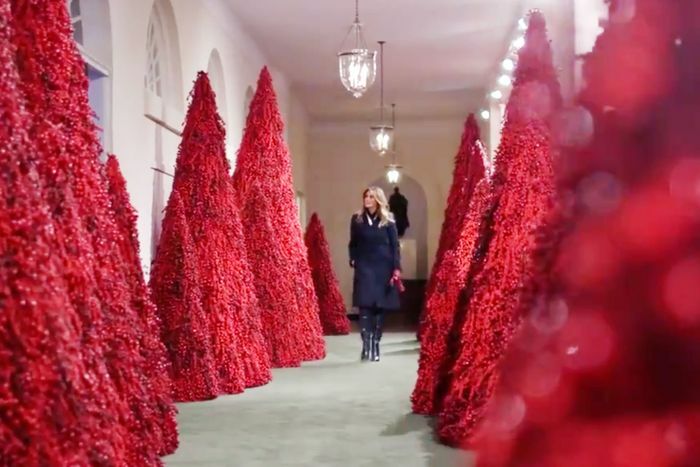 No, she is Melania Trump ushering in the holidays. Is it possibly that he may have simply been stocking up on supplies for a snow storm? It'd be a crazy transformation for only three years but if he's been hitting drugs, it's possible. "We have all the parts." "It's only the law that's stopping us from building new DeLoreans with 300 HP."